It's called an All Terrain Vehicle and ‘all’ includes the snow. Winter riding is a completely different experience and can be quite enjoyable if you and your machine are properly equipped. 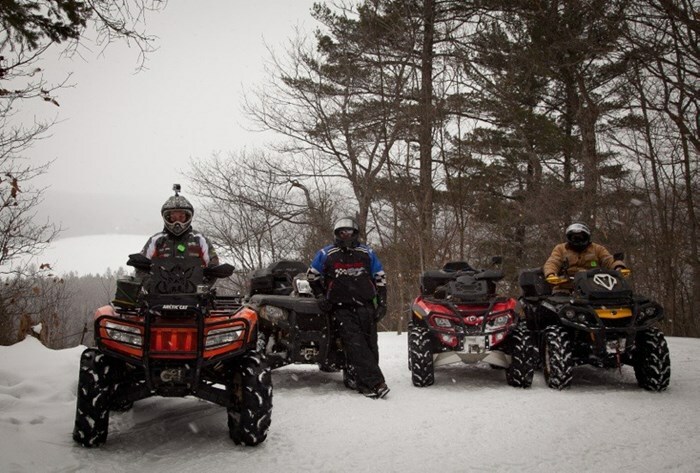 Recently, we visited the Haliburton Forest and Wildlife Center, which opens their 300 km of groomed woodland trails to ATVs during the winter. You would need several day trips to cover all of the trail systems offered here. Residing only 1.5 hours away, we have been there 3 times and we are still discovering new things to see. If you are traveling from far, it would be wise to plan a weekend stay to be able enjoy the full experience. Fully-equipped cabins are available right on site, with an option for larger log cabins for groups. 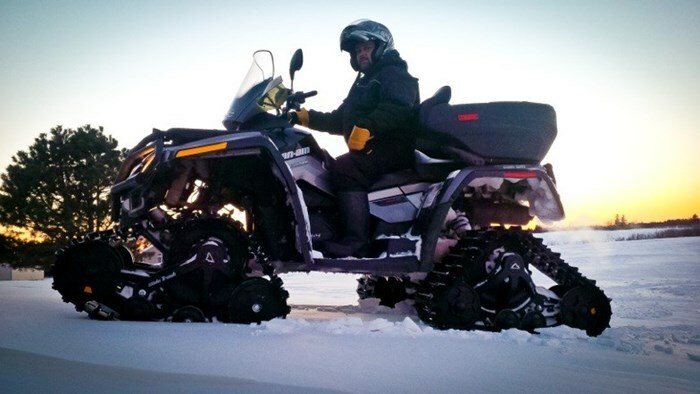 While some riders prefer to store their ATV or use it only for plowing the driveway during the winter months, there are others that want to continue the off-road adventure despite the cold and snow. We're part of the second group, and if you're thinking of doing some winter ATVing, we have a few tips to share with you. Having a quality, full-faced helmet that is rated for cold temperatures is an essential. A proper winter sport suit that is designed for wind protection and allows room for layers underneath is a must. 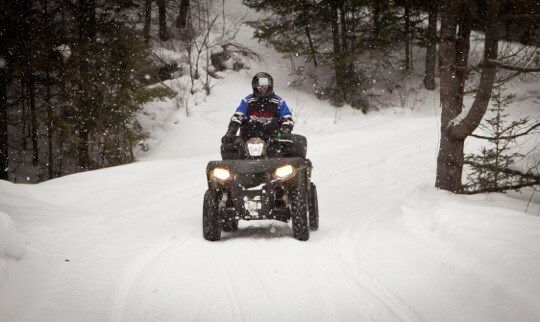 Boots and mitts rated for -40 are the best choice, as wind-chill effect is always a factor when the ATV is moving. Always pack extra socks, mitts and extra layers for under your suit, in case temperatures drop. 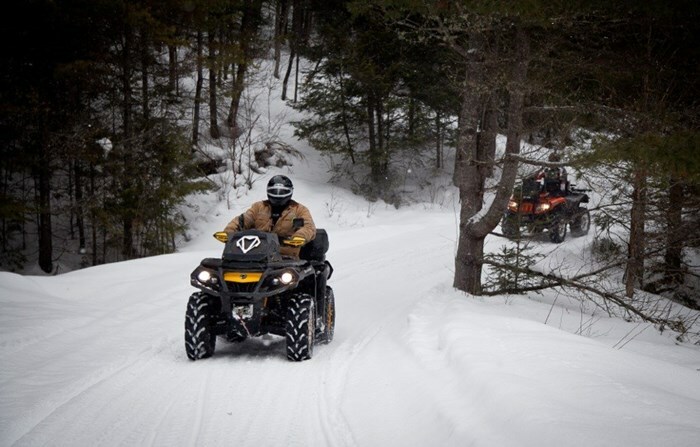 Safety needs to be at top of mind when winter ATVing in the back country. If, for some reason your machine breaks down or freezes up, you need to be prepared to survive in cold temperatures. Never ride alone. A winch is a necessity and always have an axe, lighter and knife in your gear. Some basic accessories like a windshield and hand guards, or gauntlets, to block the cold wind can make for a much better day on the trails. Heated grips, thumb and seat warmers are a minimal investment that can save a lot of discomfort. 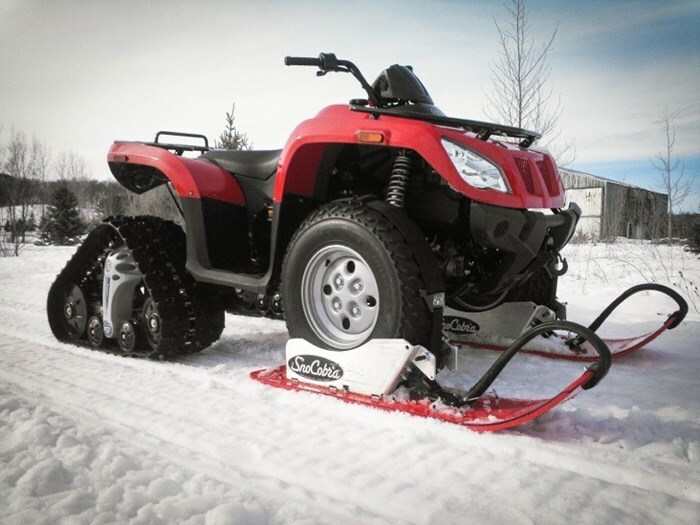 Handling the ATV in winter is a whole new way of riding—quick braking, or accelerating turns, do not tend to happen smoothly on snow and ice. 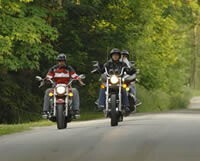 Keeping the tires from spinning or sliding sideways requires the rider to maintain a steady acceleration, and bringing the speed down slowly when stopping. Leaving a much larger gap between vehicles is a must. If conditions are cold and the snow is firm, handling is much easier. When warmer days cause melting or slushy conditions, handling an ATV safely can become quite a challenge. The sides of the trails become soft, causing the machine to pull off the path. In these conditions, it is best to reduce speed and try to find wider, well-packed trails. Many products are available to improve performance in the winter. Chains can be purchased to wrap the tires but are only recommended for slow speeds. Stud kits and pre-studded tires are an option for better traction. Track kits are now available for most ATVs, with options for replacing the 4 tires with tracks or a combination of track and front skis. The latest craze is the SnoCobra Skis, which mount under the front tires. These options allow the machine to stay on top of the snow and provide much better control. 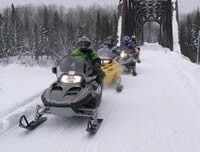 Enjoy your winter rides in Ontario!